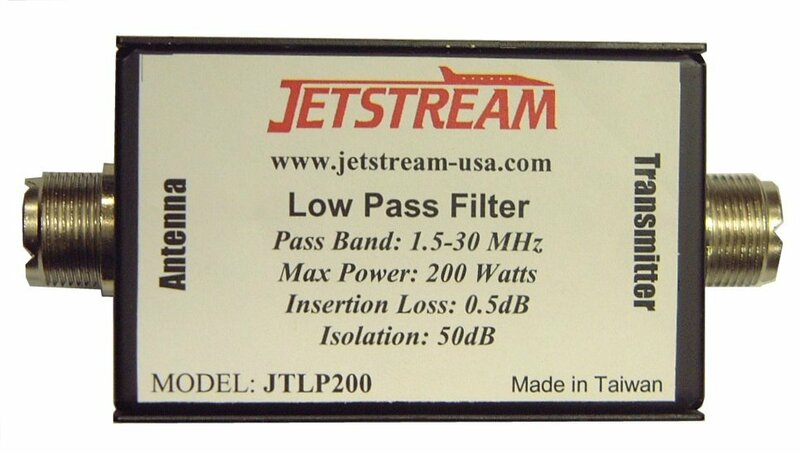 JTLP200 low pass filter. This will reduce your interference with TV, Radio, telephones, etc. Pass frequency coverage: 1.5-30 mHz. Handles 200 watts of output power, Insertion loss: .5db, Isolation: 50db.